Le Pommier is a beautiful Guernsey granite home located in a quiet country lane in rural St Saviour. It is surrounded by gardens, lawn and a vegetable patch. There are country walks in all directions, stunning sunsets and views over the West Coast. The sea is within five minutes walk. The property includes on the ground floor a large country kitchen with aga, sitting room, tv lounge, hobby room, conservatory, sun room, utility and toilet. 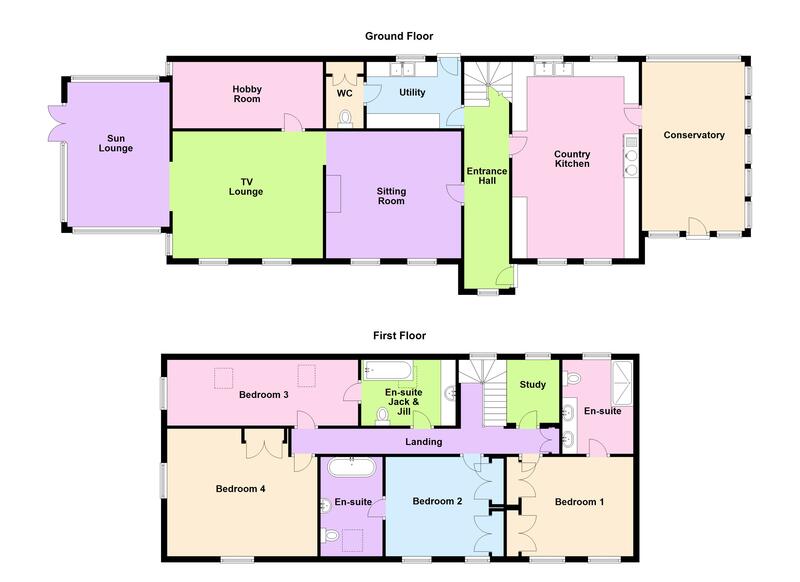 Upstairs there are four double bedrooms, three of which are en suite, and a study. This family home is full of character and retains many original features. We recommend early viewing to appreciate all it has to offer. Call Cranfords today to book your viewing. 21'9'' x 13'7''. Appliances include Aga oil double oven with 2 ring hob, Hotpoint washing machine, Hotpoint dish washer, fridge/freezer, Sharp microwave. 17'1'' x 14'3''. Underfloor heating. 15' x 14'2''. Wood burning stove. 18'6'' x 11'6''. Underfloor heating. 13'8'' x 11'4''. Fitted wardrobes. 12'5'' x 11'9''. Fitted wardrobes. 21'5'' x 8'3''. Fitted wardrobes. 11'1'' x 7'2''. Jack and Jill style. 17'1'' x 8'1''. Fitted wardrobes. Cesspit drainage. Mains electricity, water. Oil Aga and hot water.